When will be Elements next episode air date? Is Elements renewed or cancelled? Where to countdown Elements air dates? Is Elements worth watching? Elements is based on Babel Films' French-language Canadian film/web series Time Out (Temps Mort). It follows the aftermath of an extreme environmental shift across the world. On a beautiful day in Miami, it starts to snow, and doesn't stop — leaving the world frozen as one man searches for his fiancée before the world falls into complete stasis. Elements next episode air date provides TVMaze for you.  EpisoDate.com is your TV show guide to Countdown Elements Episode Air Dates and to stay in touch with Elements next episode Air Date and your others favorite TV Shows. Add the shows you like to a "Watchlist" and let the site take it from there.